Crinoline is birthed from Patricia Urquiola’s research on 3D texture. 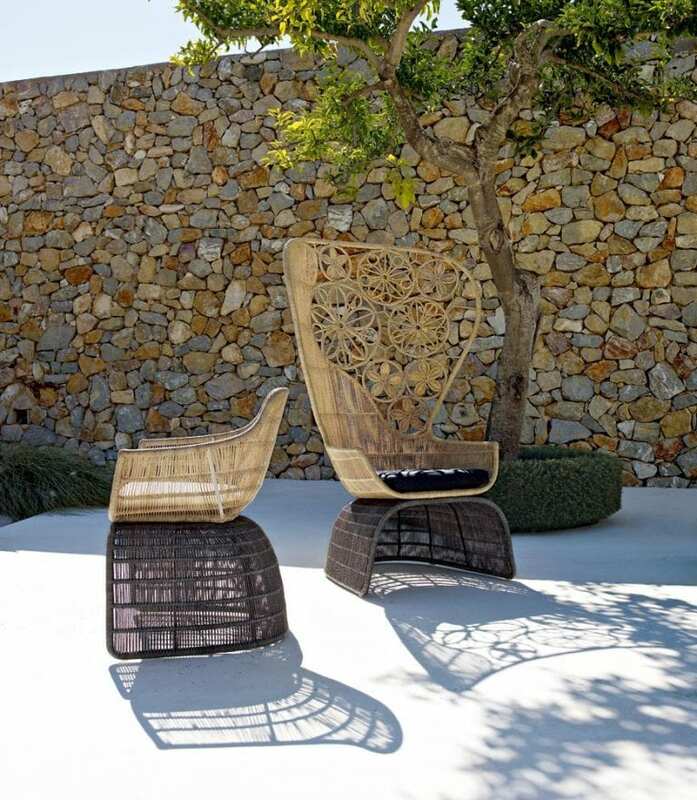 It is a stunning piece characterized by soft, curvy lines. It is available in different shapes and sizes to match various settings. It also comes with different base frames. You can get it with a stainless steel frame, a frame with a matching finish, or one with a contrasting finish. 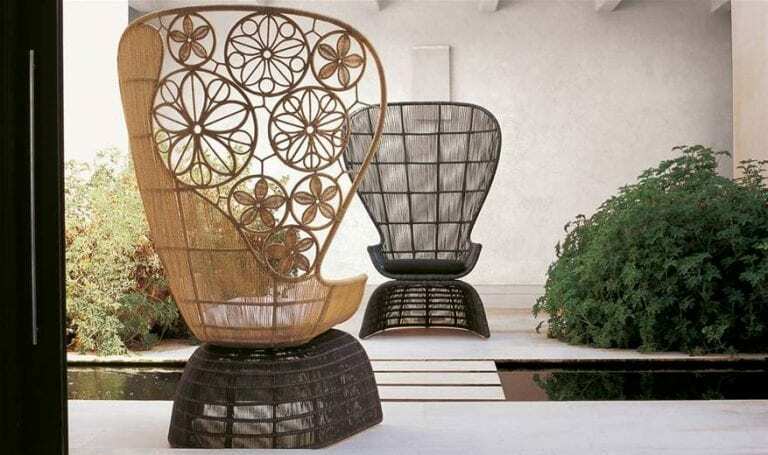 The armchair features black-bronze and black-white polythene weaves connected by cord weaves in painted bronze or natural fiber. To complete its look, pair it with a poncho in a natural color. Drape the poncho over the back or seat. 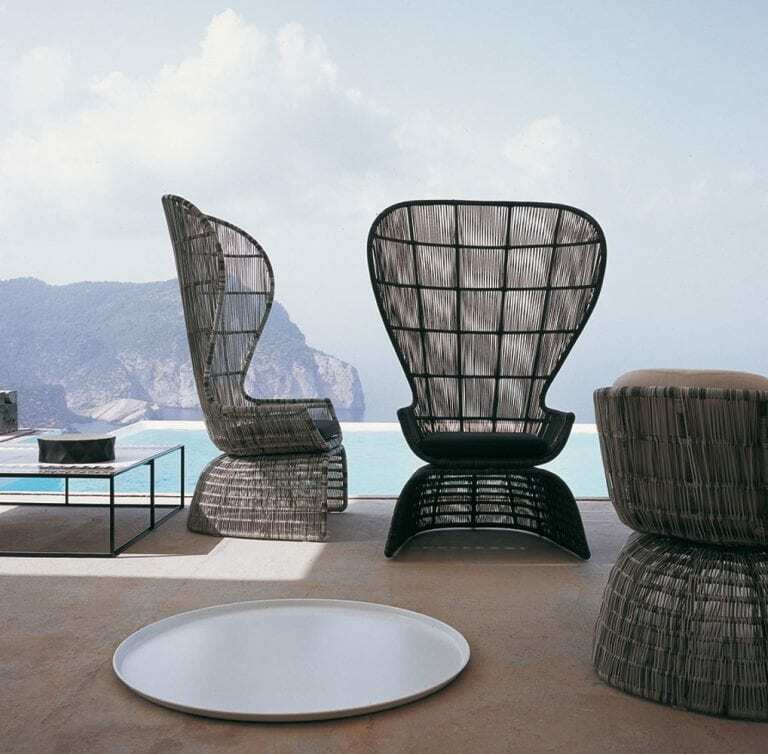 The Crinoline Armchair by B&B Italia is highly versatile and makes a perfect choice for different settings. It comes as a seat, a small armchair, and as an armchair in different shapes and heights. The version with a stainless steel frame has a supporting frame made from cord weave in a natural color, bronze, black-bronze, or black-white. A gorgeous, flowery pattern adorns the back of some chairs enhancing their overall beauty. Patricia Urquiola was inspired by Italian design and architecture from a young age. She has worked with design geniuses like Vico Magistretti and Achille Castiglioni and their influence is clearly visible in her designs. These great masterminds taught her how to intuitively approach each project and create pleasure from her work, something she has clearly achieved with Crinoline. The armchair brilliantly avoids style constraints and inflexibility and is sure to meet the needs of every homeowner. What do you love most about Crinoline?